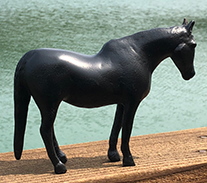 We have commissioned a limited number of solid bronze statues of our beloved Blackie which will be given to anyone who donates $1,000 or more to TPF. Only 20 have been made, so get yours while you can! All of your donor dollars are sent right back to the community! Thank you so much for your ongoing support. Your contribution will go to our General Fund unless you specify a project. To make your tax deductible donation, please send a check made out to Tiburon Peninsula Foundation or use the Paypal button below. Do you want to make suggestions for new projects or receive more information? Please email us at info@tiburonpeninsulafoundation.org. *As a non-profit organization [501C(3)], your donations to the Tiburon Peninsula Foundation are tax deductible.